Nerostep has got a solution for all your floor material safety needs. Nerostep Oy designs and manufactures high-quality and durable PVC grid mats in Finland and is proud to use the Key Flag (Avainlippu) logo as a mark of Finnish manufacture. 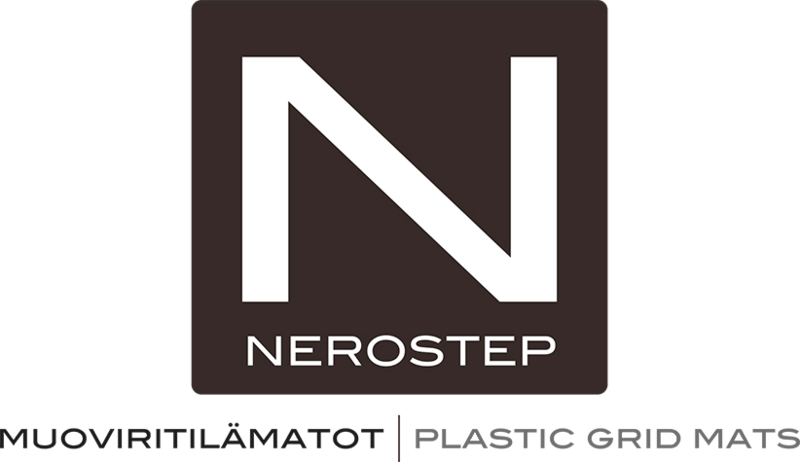 With more than 20 years of experience, Nerostep Oy has created an excellent reputation as a credible and professional company who is the market leader of plastic grid in both sales and manufacturing in Finland. All the work is done at the company's own factory in Nurmijärvi, Uusimaa, Finland. This enables us to ensure the quality of products during the entire manufacturing process and respond to the special requirements of our customers at each stage of production. Nerostep Oy products are suitable to meet the demanding needs at home and professional use. No matter what the purpose, most of all our company wants to guarantee safety and quality to its customers. We always listen to the wishes and requests of our customers during product development That way we can produce grid mats for as many purposes as possible.